Steven Pincus, Bradford Durfee Professor of History, Yale University, invité par le laboratoire MIMMOC, donnera une conférence intitulé « Rethinking Revolutions » le jeudi 29 mars 2012, 14h-16h, dans l’Amphi 2, à l’UFR Lettres & Langues, de l’Université de Poitiers. Professeur Pincus est l’auteur de 1688 The First Modern Revolution (Yale, 2009) et de Protestantism and patriotism: Ideologies and the Making of. English Foreign Policy, 1650~1668 (Cambridge, 1996). The eruption of unprecedented riots in London and their emulation in other English towns in August 2011 led to much chest-beating and heart-searching. This book puts some of the questions asked into perspective. The contributors to this book have explored various aspects of urban imagination, so intimately related to a peculiar social environment. They are historians and geographers, linguists and cultural students. Their methodologies are very different, their sources poles apart. And yet, they address the same object of study, social and spatial segregation and urban eruptions, though severally defined: from epidemics to anarchist scares, urban uprisings to mental maps, or the reverberations of urban memories in song, novels and museums. Case studies consider the towns of Liverpool, London, Hull, New York, Salvador de Bahia, or more generally France and America. The networks created among intellectuals and labourers, anarchists and migrants, or the lack of communication between those who feel oppressed (rioters, strikers, anti-vaccination protesters) and those in control, are a further common denominator. In a way, urban epidemics were the epitome of the repulsive character large cities possessed in the eyes even of their own inhabitants. If they were the receptacle of so many foreigners, and shady political characters, if they were the scenes of social and ethnic conflict, and violence, and promiscuity, and prostitution, and drunkenness, and pauperism, they were of necessity a festering sore which nothing could eradicate. It is strange that something of this fear should linger on today—otherwise, how can one explain the lacunae in the official memory of museums?—despite the cultural efforts produced in the opposite direction, with Ackroyd’s love for East-End London, with the revival of a Little Italy in every major American city, with the nostalgic folklorisation of past miseries in Salvador de Bahia and in popular song. What sense of belonging can be generated by an obliteration of the past, what dynamic local culture can spring from an absence, from a hole in collective memory? This book goes some way to filling those gaps. Susan Finding, Professor in British Studies, has taught at Poitiers Univerity since 1987, after gaining her DPhil from the University of Sussex. Her research interests lie in social and political history, notably on questions of education and family policy in the 19th and 20th centuries. She most recently edited Abolition in Britain (1787–1840): Debate and Dissension (Paris: Sedes, 2009). Logie Barrow taught the social history of all more or less English-speaking countries outside North America at the University of Bremen from 1980 to 2008. He retired so as to spend more time researching history. He is the author of Democratic Ideas And the British Labour Movement, 1880–1914, with Ian Bullock, (2nd edition; Cambridge University Press, 2006) and Independent Spirits: Spiritualism and English Plebeians, 1850–1910 (Routledge & Kegan Paul, 1986). François Poirier (†2010) was Lecturer at Université Paris 8, before he was appointed to a professorship at neighbouring Université Paris 13 in 1993. 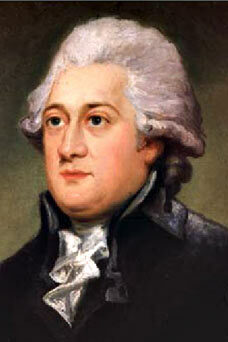 He published extensively on issues related to British politics, English social history, and Franco-British interaction. He sat on numerous academic boards in France and abroad. Among other books, he edited Londres, 1939–1945 (Paris: Autrement, 1995); News from Nowhere: William Morris (Paris: Armand Colin, 2004) with Elizabeth Gaudin; and Cordiale Angleterre—Regards trans-manche à la belle époque (Paris: Ophrys, 2010). The present volume is one of many tributes to him. For Contents, Introduction and Chapter 1 click on this link.